Media Spinners: The Drum lunacy cc: pleibians' comments mainly missing! The Drum lunacy cc: pleibians' comments mainly missing! Huge lot comments missing below!!!! 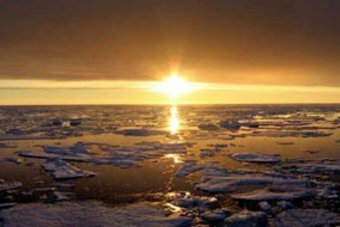 The climate is changing, according to a new report from the Bureau of Meteorology (BoM) and the CSIRO. Days and nights are getting hotter, sea levels are rising, rainfall patterns are changing. Yawn. Heard it all before. And yet, Australia's pre-eminent scientific organisations feel the need to keep telling us this.Again and again and again. Perhaps it's because not everyone is convinced. Enough voices in the Australian and international media have expressed doubt that climate science is correct that some people have started to believe them. Those voices are in the minority, but the idea is beguiling. If climate change were not true, major structural changes to our economy and our way of life would not be needed. We could continue on as before, untrammelled, unperturbed, blissful in our dominion over nature. We could continue to expand our cities, grow our wealth, and generate electricity from cheap coal as before. The idea of having to change things because our way of life is changing the very atmosphere of the planet is not a lot of fun. And we humans like fun a lot more than work. The BoM and CSIRO are probably also aiming to support the argument that something needs to be done with yet another report showing the problem is worsening. Repetition is the key to remembering information and CSIRO and the BoM seem to have taken that message to heart. It might be said that the CSIRO and the BoM are wasting their time; most people won't listen. Those who are sceptical of the science of climate change have proved that they are immune to scientific information. Despite a vast body of information confirming and reconfirming the same finding, climate change deniers choose to focus on the crumbs of information that contradict that finding. They are like a man in a lifeboat arguing that the ocean can't be wet, because his feet are dry. Yet another report from scientific institutions entrusted with the research essential for Australia's economic success, national security and engineering successes will be met with a wall of disbelief and derision. Just look for it in the comments section below. Those who believe that climate change is a real danger, immediate and urgent will similarly ignore this report. "The climate is changing? We know." But for the BoM and CSIRO, they must continue. Their researchers are rightly continuing to better understand the full implications of climate change for Australia's future. Updating their information and keeping their scientific outputs current is part of their job. But if they were hoping to break through the public malaise on climate change with this new report, their hopes will be dashed. One more scientific report is not the answer. It is only part of the answer. I've written before about the concept of 'framing'. Climate scientists are turning to psychology in an effort to understand why their best communication efforts are not being received as intended. The stumbling block is that everyone encounters new information with pre-existing knowledge and experiences, which inform how the new information is interpreted. For the message about climate change to be received and understood it needs to arrive in as many different forms as possible. Science, yes. But also climate change as a technological advance; a business opportunity; an economic reformation. Artists need to be recruited to paint climate change; writers need to write about climate change; it needs to be shown through interpretative dance. The message needs to come from different voices from all aspects of our diverse society: sports stars; comedians; accountants; ethnic leaders; church leaders; doctors; lawyers; professional associations. These messengers, like the scientists at the BoM and CSIRO, need to communicate on repeat. The same message, slightly new format, over and over. Climate change was all the rage in 2007, but that rage needs to be maintained if our society has any hope of preventing the most destructive aspects of it. The changes necessary to address climate change, we are told, are so large that a single public push will not be enough. Major reform of this nature is like a rising sea level, it ebbs and flows, but moves inexorably forwards. The latest report from Australia's atmospheric research specialists will be like a new gas guzzler on the road – the difference seems negligible but it all adds up. With the release of the latest report from the CSIRO and the BoM, the ABC has taken some of the sea level rise data and created an interactive graph. Click through to see how sea level is changing near you. Sara Phillips is the editor of ABC Environment. View her full profile here. There seemed to be a lot more interest & passion for doing something about anthropogenic climate change when Rudd was PM. What changed since then that Australia can't even begin to make a small effort to try & do something about this elephant in the room without political rupture? Our enthusiasm and momentum were killed with dirty politics in the Labor party, and our belief was eroded away by cashed-up focus groups with a well-orchestrated plan of misinformation. No, it was dirty politics and denial of the far right in the Liberal Party that put the issue our of reach of all who want to do something about it. Labor would have progressed this at any time since 2007 if they hadn't been blocked by the religious fundamentalist deniers in the Liberal Party and the vested interest of the Profit Now elite. No, it was neither. It was Copenhagen. I think it is a mistake, and will damage us in the long run, but it suddenly became very difficult to sell emissions reduction policy following Copenhagen. I also think the mindless fundamentalism and lack of reasoned pragmatism (please read Christine Milne's piece from Mars published yesterday on the Drum) on the part of the Greens over the last 5 years has enormously damaged the ALP's position. In fact, in practical terms Tony Abbott's repositioning of the Liberal Party has only resulted in a higher and less flexible CO2 price than was being produced by the Rudd-Turnbull negotiations, as he forced the ALP to negotiate with the Greens. And in reality, Bob Brown's only significant achievement on CO2 reductions policy is to have delayed the implimentation of a CO2 price.